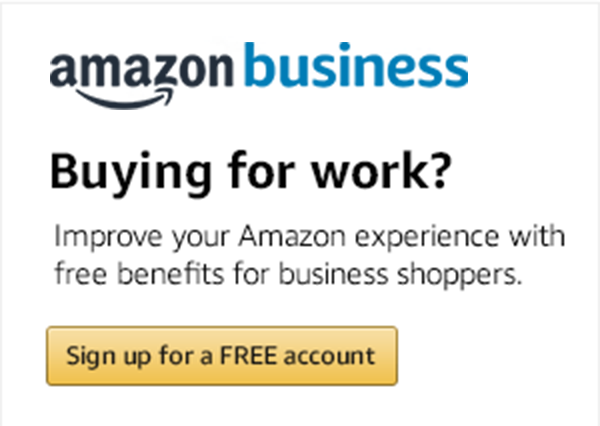 Amazon Business introduces new benefits for Business Prime designed for organizations with multiple buying employees - Amazon Guided Buying and Amazon Spend Visibility. In a nutshell, Guided Buying lets you configure the Amazon shopping experience for your business specific policies and capture more of your spend with Amazon Business. Spend Visibility enables you to gain procurement insights into spend by department, category, supplier, and month, and fine tune your policies to manage future spend. Explore how technology and “intelligence” have the potential to enhance procurement to be a better partner to the business and deliver even greater value to end customers. Today’s procurement departments have many priorities to ensure they are contributing to the profitability of their enterprise. For the 100+ procurement leaders recently surveyed for a Spend Matters report, the top priority is to reduce tail spend. Business Prime Shipping is now available to Amazon Business customers. Amazon Business has worked closely with leading cloud-based spend management provider Coupa to create Coupa Open Buy with Amazon Business. Research on the behavioral economics considers the role of unconscious, emotional and instinctive factors in decision making. If procurement professionals, employees and suppliers are not acting out of purely rational motives, what does this mean for purchasing?